For use on short pile carpet. 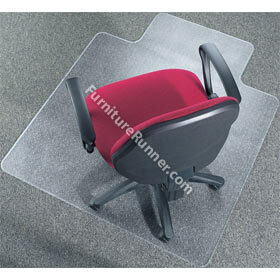 • A practical solution to wear and tear on office flooring. • Tapered edges for easy roll-on and roll-off. • Studded underside to stop any movement. • Made from a durable PVC which prolongs product life. • Available in 2 sizes. • Lipped.